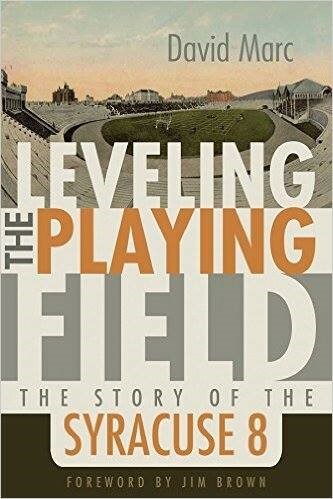 Syracuse 8 is a long-overdue story about members of the 1969-70 Syracuse University football team who boycotted the spring 1970 practice to protest racial inequality on the team. The players petitioned the coaching staff with four demands: access to the same academic tutoring made available to their white teammates; better medical care for all team members; starting assignments based on merit rather than race; and an effort to integrate the coaching staff, which had been all-white since 1898. Successful book signings were held previously in July at Busboys and Poets, Washington, DC and September at the Schomburg Center for Research in Black Culture in Harlem, New York. 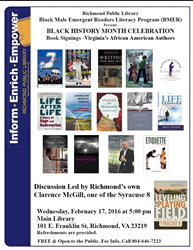 Clarence McGill, a member of the Syracuse 8, accompanied by author David Marc, also appeared on News One Now with Roland Martin in September. 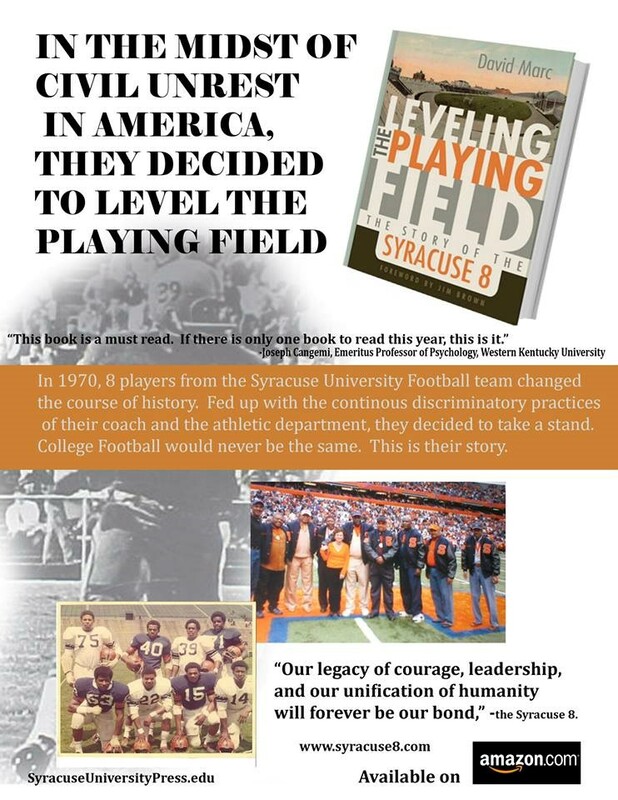 Leveling the Playing Field, written by former Syracuse University Magazine writer David Marc, chronicles this contentious moment in Syracuse University’s history, telling the story through the eyes of the players who demanded change for themselves and for those who would follow. 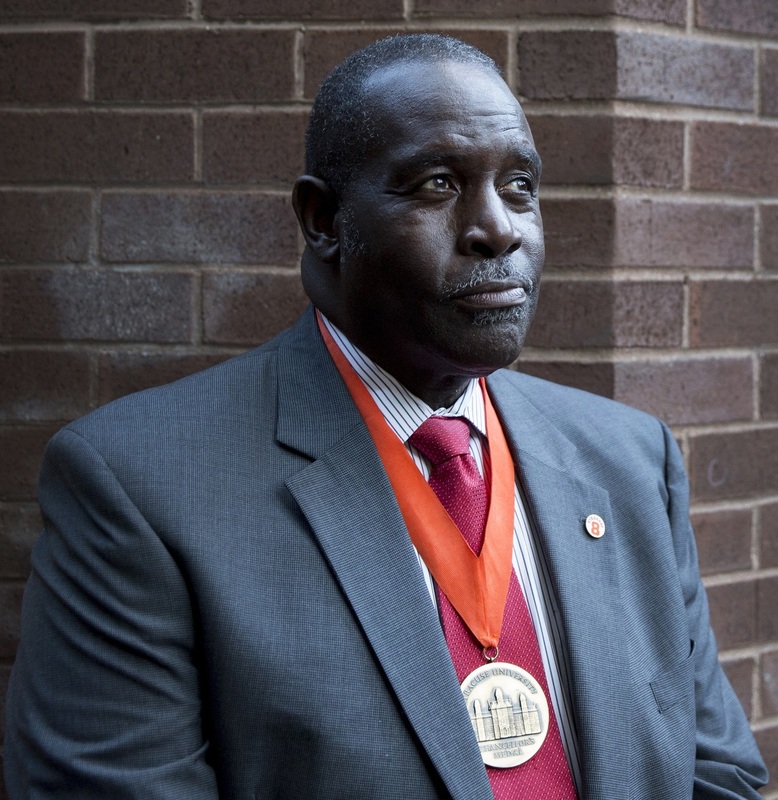 Mistakenly called the Syracuse 8 by the media in 1970, the players actually numbered nine and included Greg Allen ’72, Richard Bulls ’73, John Godbolt ’73, Dana Harrell ’71, G’73, John Lobon ’73, Clarence “Bucky” McGill ’72, A. Alif Muhammad ’71, Duane Walker ’80, and Ron Womack ’71. 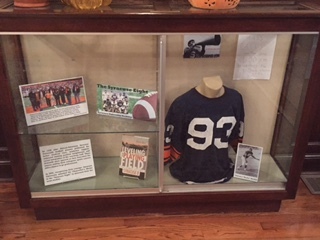 After graduation, several of these players led by Clarence “Bucky” McGill of Binghamton, NY went on to play minor league football for the Triple Cities Jets of Binghamton, NY in the Empire Football League.